Gina LeVay was born in Chicago and holds an MFA in Photo and Related Media from the School of Visual Arts. LeVay works both in the U.S. and abroad, on independent and commissioned projects. 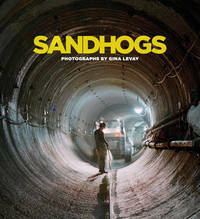 Her award-winning work "The Sandhog Project," was exhibited as a large-scale photo and video installation at New York's Grand Central Terminal in 2006. She is currently based in New York City. Bonnie Yochelson is an art historian and curator specializing in photography. She received an MA (1979) and PhD (1985) from New York University's Institute of Fine Arts and worked for the National Gallery of Art, Washington, D.C., the Philadelphia Museum of Art, and the Metropolitan Museum of Art before becoming Curator of Prints and Photographs at the Museum of the City of New York in 1987. Yochelson teaches a seminar in the MFA Department of Photography at the School of Visual Arts and curates their annual MFA thesis show.